SCUBA Valve Adaptor - August Industries Inc. This adapter allows users with SCUBA Yoke filling devices, an opportunity to adapt to an other suitable connectors. 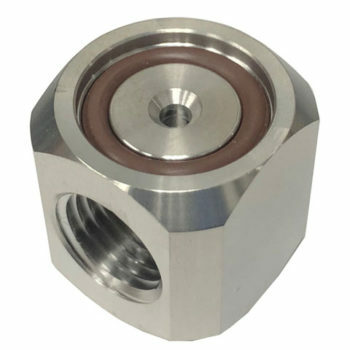 This stainless steel adapter hits a standard SCUBA face and o-ring by a 1/4″ Female NPT outlet.